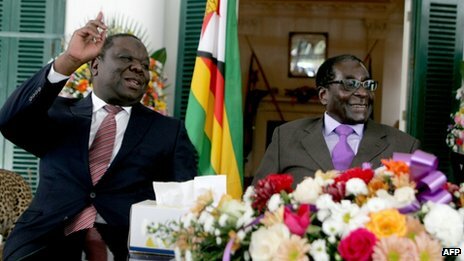 After reading Peter Godwin’s book on Mugabe’s reign of terror, which documents the devastating violence committed against Tsvangirai; and following the relentless animosity between these two; well, you just wouldn’t imagine them yucking it up together in a spirit of comradery. But I guess that’s why I find politics so interesting. It’s nice to be surprised. That said, most Zimbabweans are going to be pretty skeptical that any deal is going to stick, and will now reacquaint themselves with fears of pre-electoral violence.